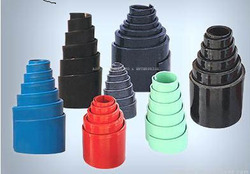 Pioneers in the industry, we offer volute springs and industrial volute springs from India. 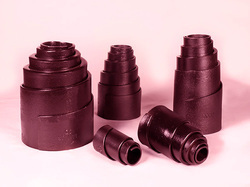 A Volute Springs is a compression spring in the form of a cone (a volute), designed so that under compression the coils are not forced against each other, thus permitting more length to be shortened. Volute Spring: Startling from thinner gauge of steel strip up to heavy section flat. A Volute spring is a compression spring in the form of a cone (a Volute), designed so that under compression the coils are not forced against each other, thus permitting more length to be shortened. Volute Spring We are leading Manufacturer Exporter of Industrial Volute Springs for machinery and other engineering application. Volute Spring: Startling from thinner gauge of steel strip up to heavy section flat. Raw material All suitable quality spring steel. 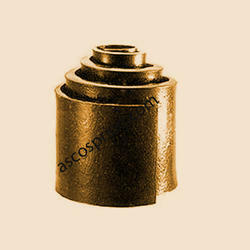 We are leading Manufacturer Exporter of Volute Springs for machineries and other engineering application. Volute Spring: Startling from thinner gauge of steel strip up to heavy section flat. Capacity: Flat Section Thickness upto 20 mm. Width Upto 250 mm. Bore Upto 200 mm. Raw material :- All suitable quality spring steel. We offer Volute Springs that exerts some type of load or force when it is compressed. 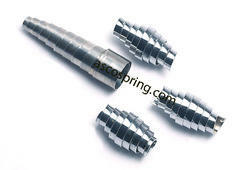 Volute springs are manufactured from quality material that make them highly durable and long lasting. These are available in different shapes like cylindrical, conical, barrel shaped, hour glass shaped and concave. Moreover, our range is offered at industry leading price. We offer Industrial Volute Springs that exerts some type of load or force when it is compressed. Volute springs are manufactured from quality material that make them highly durable and long lasting. 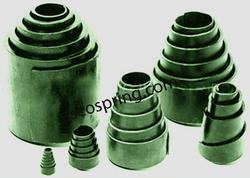 Volute Spring is available in different shapes like cylindrical, conical, barrel shaped, hour glass shaped and concave. Moreover, our range is offered at industry leading price. Looking for Volute Springs ?